When the time comes and you decide you want to sell your jewelry and old gold that you may not want or need anymore, to turn it into cash for whatever reason: pay bills, get a new home or apartment, pay tuition, or maybe you just got tired of wearing it or seeing it lying in your jewelry box or drawer. 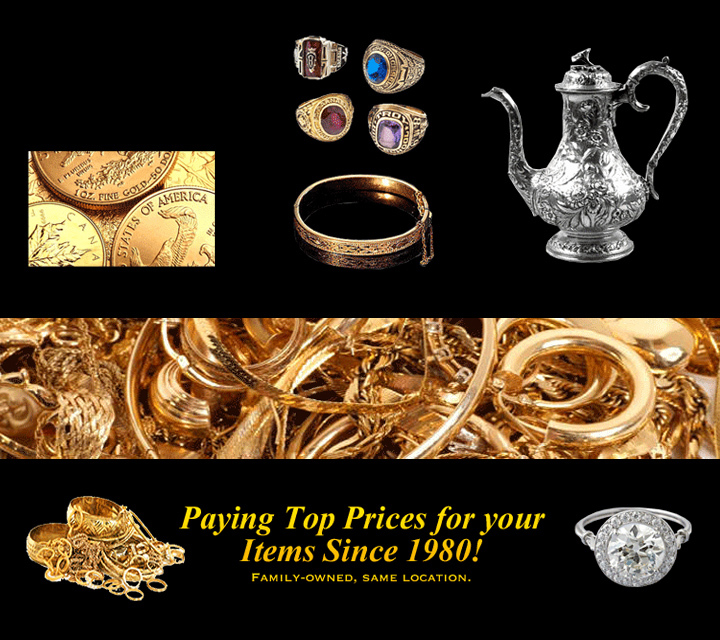 The VIP Pawn Shop is the place to turn to when you want to sell your unwanted old gold and jewelry for cash. Have confidence selling to VIP Pawn Shap and their 7 years of experience knowing we take pride in offering the very best possible price for your jewelry, old gold, diamonds, watches and other valuables. You will see and feel the difference in selling to a professional establishment in a safe environment where you will know you sold your items for the very best price in a satisfactory transaction. Since 2011 we have been the best gold buyers, offering and giving our customers an easy way to sell their unwanted jewelry and old gold for top prices. Whether you are looking to sell the gold you no longer wear and use, or you simply just need some extra money to pay bills or make an important purchase, you can count on getting the highest possible price for your gold, silver and platinum jewelry and old gold. We offer a transparent process that gives you confidence that you are getting the right satisfactory price. It doesn’t matter what karat gold you have – 8, 9, 10, 12, 14, 16, 18, 20, 21, 22 or 24 karat – our expert gold buyers in Nationwide will carefully assess, inspect and evaluate all your items individually to ensure that you will be getting the best prices for your gold. We purchase all forms of gold, new jewelry, used jewelry, old gold, scrap gold, broken gold, dental gold, industrial gold in all forms, and other forms of gold, silver and platinum.